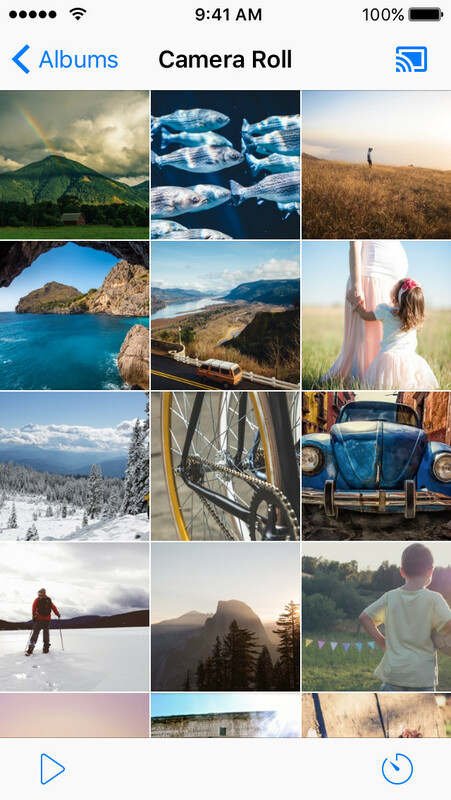 Browse and cast all your photos and videos. 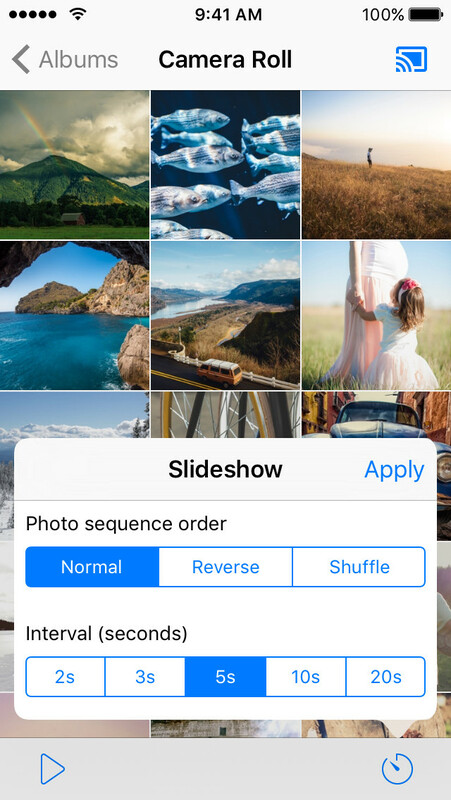 Easily view all albums and play photos in a slideshow. 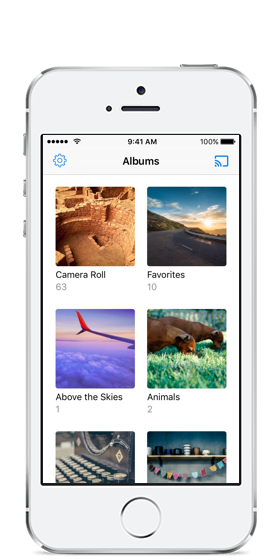 Support for iCloud Photo Library (needs to be enabled in your device settings). 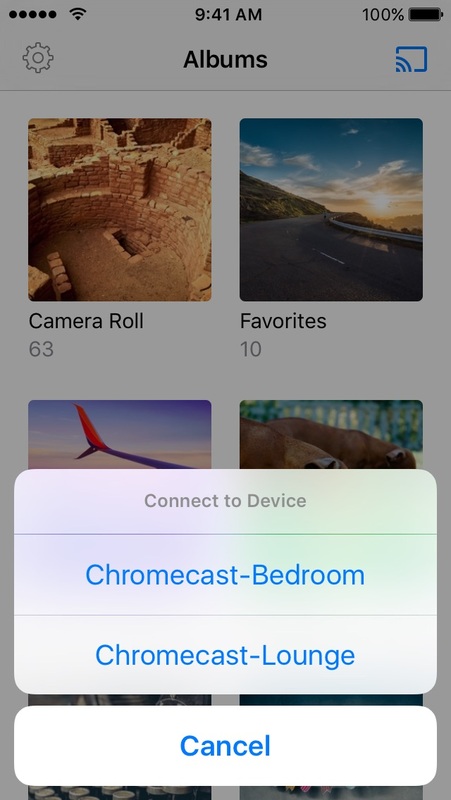 Easily connect to all Chromecast devices in the same WiFi network, at home or in the office. 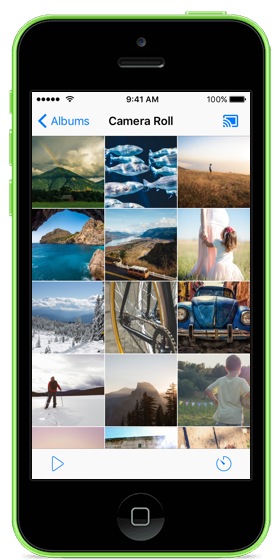 Choose photo and video resolution for casting. Your family is visiting? Show them the pictures of your little ones on the TV. Your friends are coming over? Fire up a slideshow of your holidays or the last concert you went to. 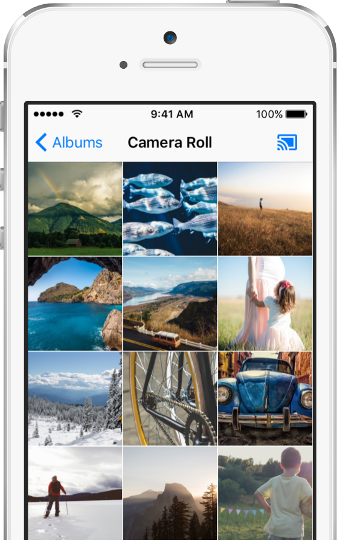 Having a meeting and need to share screenshots or the latest designs of your product? Show them to your colleagues on the TV. Your partner is watching some sports on the TV? 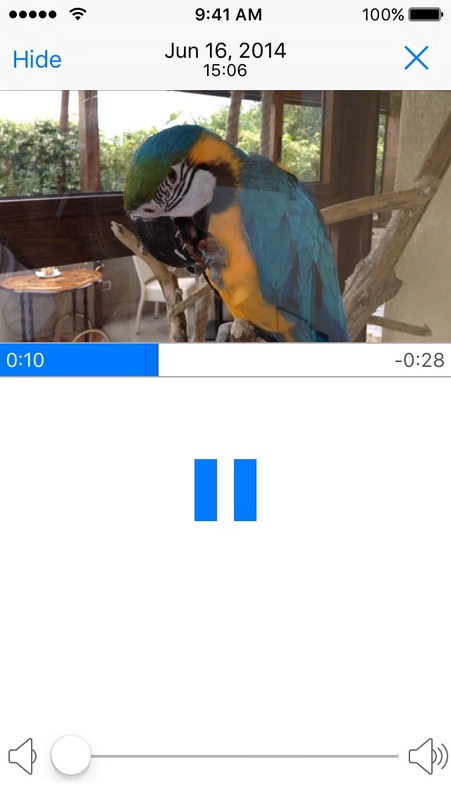 Control the Chromecast and play a video of your dog instead. Cast Player couldn't be easier to use! 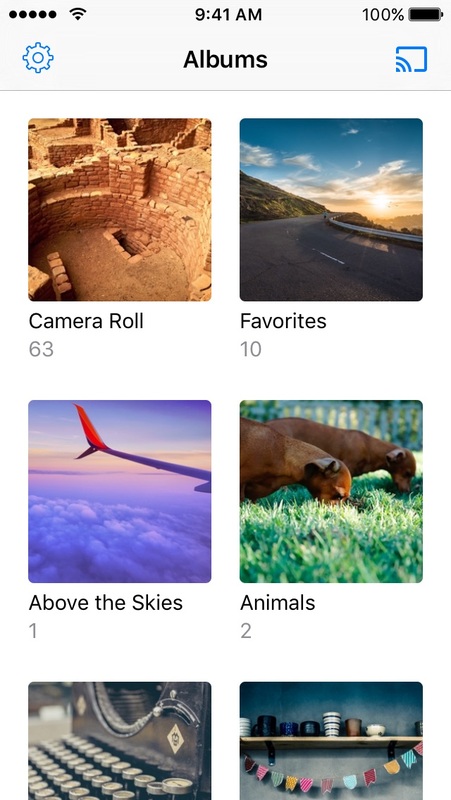 It’s just like the iOS Photos app with built-in Chromecast support. Stop wasting time looking for casting apps. This is the one you want. Free, fast and reliable. Perfect for my mother in law who just wants to watch her videos and pictures on the TV. I have tried several players for iPad but Cast Player is great! 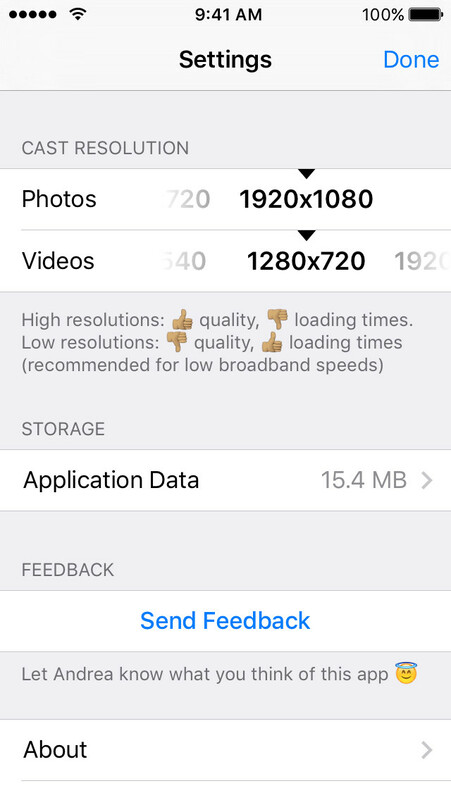 Plays photos and videos without bugs and without interfering with other apps like YouTube. Fast, responsive and does what it says. Great work.